What if a car accident or sudden illness left you unable to talk to your family about your finances or to tell your doctors what kind of medical treatment you want? Unfortunately, thousands of families face this reality each year. This hypothetical situation highlights the importance of something called “power of attorney.” It sounds abstract, but a power of attorney is actually a concrete document that gives someone you’ve chosen the power to act on your behalf. The person giving the power to act in his or her place is known as the “principal.” The “agent” is the person receiving the power to act. A valid power of attorney document gives that person – whether that’s your spouse, child, or trusted friend – the legal power to handle important matters for you. 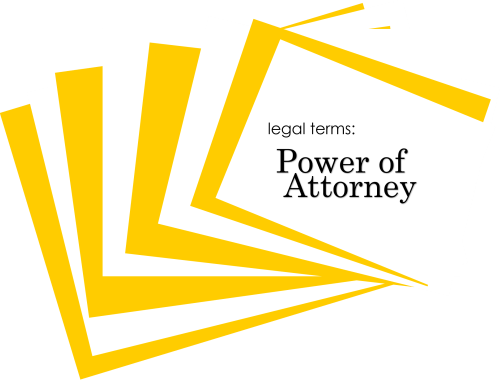 It’s important to understand the distinction between types of power of attorney (POA), because they are not all equal in the eyes of the law. A non-durable power of attorney automatically becomes invalid if the principal becomes mentally incapacitated. These non-durable documents are intended to be valid for a specific length of time. For example, you might want to give your parents access to your bank account or your P.O. Box for the duration of your two-week trip abroad. On the other hand, durable power of attorney does not go into effect until after a person has become mentally incapable of making his or her own decisions. Without valid, durable POA documents, your loved ones may not be able to handle your medical or financial affairs without first going to court to be granted the authority. If you are considering your legal options in Arkansas, it’s worth noting that the Uniform Power of Attorney Act sets the standards for POA in the state. This act states that all powers of attorney are durable unless the document states otherwise. To be sure you’re protected in all areas, you’ll likely want to create two separate powers of attorney: medical and financial. A medical POA, also called a “durable power of attorney for health care,” helps ensure that your preferences for medical treatment are followed in the event that you’re unable to speak for yourself. The medical “agent” you specify will be legally required to follow the treatment preferences that you’ve laid out, working with the doctors to communicate your requests. In combination with a medical power of attorney, you may want to create a “living will” to provide clear, written instructions about your desired medical treatment. A durable financial power of attorney gives your chosen agent the ability to make financial transactions in your place. You can determine the extent of the power you’d like to give the agent, from checking your mail to filing your tax returns and managing your investments. This is the first installment in our Tackling Legal Terms series, where we explain common legal terms in plain language. If you have questions or would like to have your own power of attorney documents in place, Taylor King Law can help! Our attorneys can create legally binding powers of attorney as well as living wills. This is the first installment in our Tackling Legal Terms series, where we explain common legal terms in plain language. If you have questions or would like to have your own power of attorney documents in place, Taylor King Law can help! Our attorneys can create legally binding, durable powers of attorney as well as living wills.